We offer a full delivery service on our 10 tonne crane truck. Coly Concrete deliver throughout the Riverina and Murrumbidgee regions including, Griffith, Hay, Narrandera, Conargo and Urana. Our Crane Truck will go almost anywhere to deliver products and is also available for hire when a "Hiab" is just what you need. 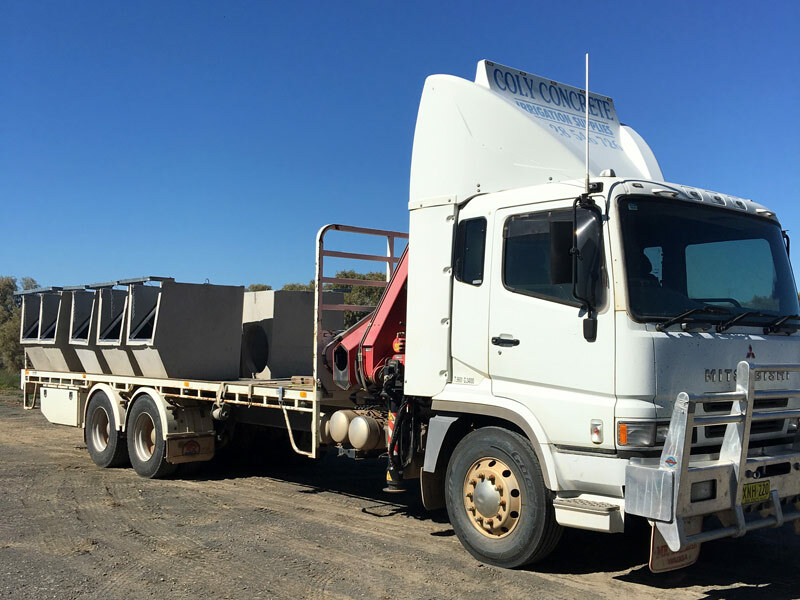 Coly Concrete stock, supply and deliver, Irrigation Products from well known manufacturers, throughout the Riverina, Murrumbidgee and South West irrigation areas of NSW.